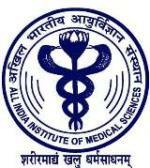 All India Institute of Medical Sciences is a medical colleges of higher education, it is a group of seven institutions located in various regions of the country with an autonomous status; these institutions are headed by AIIMS Delhi. As a well established medical college for higher education it offers various courses in medical and paramedical disciplines. The Delhi campus is in need of professors to fill the vacant positions in different specialty of medical science. As a process of filling these positions AIIMS issued a recruitment notification that states the vacancy details. On considering this notification, applications are invited by AIIMS from candidates who qualify post graduate medical degree in relevant specialty. Interested candidates can apply online in a prescribed format. This notification consists of 37 vacancies in various medical disciplines. The detailed positions are mentioned below, category wise reservations can be verified in the official notification. Candidates must be completed a Post Graduate degree (MD,MD, MBBS) in the above said specialty with relevant experience. The upper age limit to applying for this vacancy is 50 years as on closing date of submission of application. Relaxation in age is applicable as 3 years for OBC and 5 years for other reserved category candidates. Selected candidates will be placed a professor with a salary of Rs.51600/- per month with a grade pay of Rs.1500/- according to the pay band four of Rs.37400-67000/- Pm. Interested candidates may log on to the official website "www.aiimsexams.org" and fill the online application with required details. On completion submit and take a printout of the application. Then enclose this application along with the necessary certificates copies and send to the address official address "AIIMS, Ansari Nagar, New Delhi-110029" within one week from the last dated of online application submission.